"Penance" is a RPG where choices matter. Whether good or evil prevails rests entirely on you. 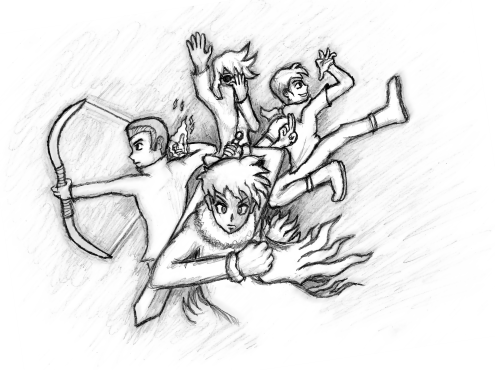 An adventure combining humor, epicness, drama and explosions. It has been centuries since the war against the demons. Humanity was victorious and managed to defeat them with the help of the "Shifters", humans with all shorts of magical powers blessed with longevity. They defeated the demons and helped humanity recover its lands. However, you can't have eternal peace when you're dealing with the humans. There is a civil war between the humans and the shifters that is about to break unless somebody does something to stop it. An organization called New Dawn has proclaimed war against humanity and their actions have split the world in two. 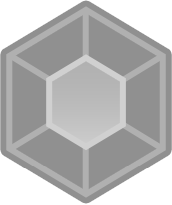 -The "Crystaline" system, where you don't have to fight monsters to become stronger, but gather crystalines instead. -The "Normal" route and the "Chaos" route. -Fixed some more spelling errors and changed more dialog in some parts. -Made the music files lighter without affecting the quality of the sound. -Added the new splash art with and without color. -Made some tweaks here and there and added some more secrets. -Now Grey's face changes in chaos mode, as it should. -Now the title screen is more interesting. "The internet is a terrible thing to give to kids", indeed. My face was a raisin all the way up to the Greater Fallen boss where I died. The game is complete. There might also be a sequel in the future. This is a surprisingly epic and fun RPG. I just reached the normal route true ending. A short ending guide describing the endings and how to reach them would be awesome, because I normally don't like to play through RPGs more than once, but I think I will at least try out the chaos route. Humor, plot twists, the level-up system and the sometimes "preaching" dialogue lines are definitely hit or miss, yet I liked this "change of pace" compared to other old-school JRPGs. - the "Why is this in the middle?" boulder on Mount Threznor? - the crystal, the amulet and Sans-Castle in Snowblibli Village? - You should change the window skin. The player can hardly see what he's clicking on, especially in window mode. - Def Crystalines seem to work like Agi Crystalines: Def Crystalines raise Speed instead of Defense (though I'm thankful for that, because agility is usually the most important stat in RPG Maker 2003 battle systems). - George can attack with 0 MP even though a normal attack costs (should cost) him 1 MP. - Zaun's skill Expose Defence (level 2) doesn't inflict 3 % HP damage once. - The guy guarding the Underground Cavern says his lines twice. - Is it supposed to be Kingarden (guide book - Challenge House entry -, teleporation crystals) or Kingarder (sign on location)? - When boarding the elevator on the Azkagon police station's 4th floor, the text should say "Go to floor 3" instead of "Go to floor 4"
- There are a few obstruction mapping errors, most noticeable the left wall on the first screen after having fought Papyrus for the first time (subsequent to the minefield passage puzzle - maybe this map even mirrors itself). - Teleporting from Mount Threznor (entrance) to Mount Threznor (entrance) freezes the game. Thankfully, teleporting from other locations to Mount Threznor (entrance) works just fine. - Lots of spelling errors, but I've seen much worse and it doesn't ruin the experience. Thank you for a - nevertheless - very entertaining game. It was definitely worth my time. I just got two endings via the chaos route, now I'm satisfied. The chaos route is depressing and enjoyable as hell - good job! Inside the Mount Threznor New Dawn base on the screen where Zerph stands: Why does the crystal in the upper left corner take away all of Felix's awesome abilities and replace it with crappy abilities? This is gamebreaking for someone seeking the worst ending, and I can't see any relevance concerning the endings. As a funny consequence for the worst ending route, Felix is portrayed by Isabelle's sprite during the fight against Isabelle. This fight doesn't seem to be unwinnable (because guard still restores 4.000 HP for a level 99 Felix), but it drags on forever with each attack only dealing 250 HP damage. Thus, I wasn't motivated to test what would have happened if I had won the battle. The bugs have been fixed and i will update the game soon. -The runic crystal is just the proof that you defeated yourself (I changed the text so it says that instead of "what could it be?" Just got the true ending. Really enjoyed the game so thank you! I have one question though: that blacksmith in Snowblibli mentions some Golden Sphere on top of Mount Threznor where can I find that? The golden sphere can be found randomly in place of a normal monster on the mountain. Just save the game near a monster and keep reseting until you find it. The best place to do it is near the switch that makes the statues blocking your way disappear. If you enjoyed the game I highly recommend you playing the Chaos route as well. It reveals some other parts of the story that the Normal route doesn't. (To play the chaos route you need to join 'New Dawn' when Zerph asks you). i really hope you can make a sequel and i was wondering if i could help since this just became one of my best rpg maker games .....Hit me up at my Gmail if you wanna do so: "kaisimie6@gmail.com"
You hit the first statue 4 times and the second one 5 times. The quest log in the bag tell you how to get there. You have to complete the other quests first. 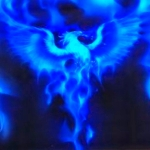 This means BluePhoenix never definitively planned on making a sequel, and I think it's more likely there won't be a sequel, as it's almost always the case. To be honest I have already started working on the sequel and by now I could have released a one hour long demo if I wanted to. But right now it's on hiatus since the summer, I don't know when I will eventualy finish it. 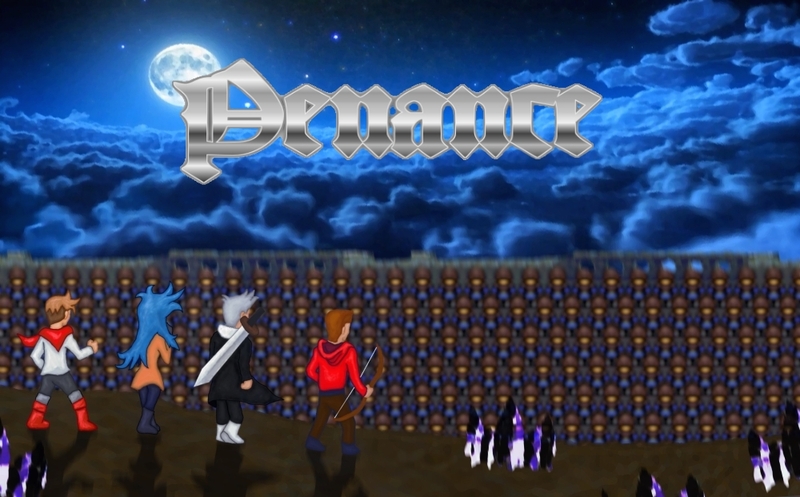 I don't like unfinished games, there are countless demos out there that will never be complete, so if I finish Penance 2 I will upload it as a complete game, not a demo. I think it's better this way.